Michigan is a tale of two kinds of cities. Cities such as Grand Rapids, Kalamazoo, Traverse City and Ann Arbor have healthy and diverse economies. Other cities - Flint, Saginaw, Jackson, Muskegon, Battle Creek and many smaller municipalities – face deep and long-term financial crisis and depressed local economies. And Detroit, the state’s flagship city, is a complex chowder of economic revival downtown and deeply troubled neighborhoods on the periphery. The number of communities the state considers distressed is long – 138 cities, 36 townships and 15 villages, that run the gamut from Adrian to Ypsilanti. They’re communities with lagging property values, are losing population and have higher-than-average poverty and unemployment rates. That makes them eligible for special state grants, but also underscores the challenges facing many cities. In Michigan, it’s often a case of have and have-nots among cities. Cities that are doing better, like Ann Arbor, Troy and East Grand Rapids, are those whose property values – the basis of property taxes – have rebounded after the 2008 housing crash. In contrast, Flint lost more than three-quarters of its taxable value from 2008 to 2016. However, the latest Census figures released at end of 2017 showed a one-year median home value increase of 7 percent, outpacing the nationwide average. And inflation-adjusted revenue sharing payments from the state to cities dropped precipitously from Michigan’s economic heyday at the beginning of the 21st century. Cities have responded by privatizing services and trimming payrolls. Statewide, only 4.2 percent of all workers are employed by state or local governments, the sixth-lowest rate in the country. But pensions promised to retirees continue to eat at savings. Statewide, Michigan’s total unfunded pension liabilities for local governments is roughly $7.5 billion, in addition to $10 billion in unfunded healthcare liabilities. On average, local pension plans are only 19 percent funded. Legislative remedies, such as a proposal in 2017 to create a Municipal Stability Board to monitor underfunded pension plans, have yet to get off the ground. Last year, the Center for Michigan found that at least 65 percent of residents had “low” or “very low” trust in the state emergency manager system. Legislators, though, have yet to act on the most popular solution – balancing power between managers and locally elected officials. Civic groups also have unsuccessfully proposed revamping Proposal A, the 1994 constitutional amendment that caps the growth of property taxes – and had the unintended consequence of limiting communities’ tax bases after the real estate crash. Despite the challenges, cities including Grand Rapids, Marquette, Houghton and college towns like Ann Arbor and East Lansing are enjoying a resurgence. 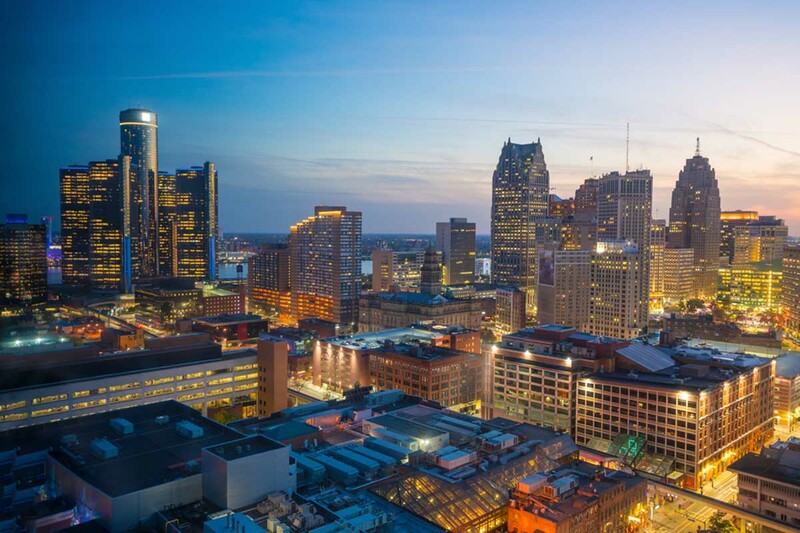 In many cases, it’s because cities have been able to lure younger workers while diversifying employment – such as the downtown and Midtown neighborhoods of Detroit, which is attracting new residents and millions of dollars in investment since the city’s historic 2013 bankruptcy. Studies show that communities with the best chance of prospering are those with educated workers. By 2025, some 65 percent of jobs will require some education beyond a high school diploma. Statewide, only 40 percent of residents meet that level, so the state is working on a host of programs to attract and train educated workers. Well written and the light at end of the tunnel that is the train coming. Also a manufactured crisis of the legislative branches of government and the excuse of people to force the unconstitutional emergency management laws. I would only disagree about the 2017 Municipal Stability Board. That is a money grab..
Money.money, yes the books need to be opened! gov.hired over 3 more out of state CEO and raised there salary from $ 157 000 to 330 000 and i am sure there are many more raises.how much money came /to browmfields .That are still brownfield to day? how much cash does SEC. of State taken in daily?for roadwork? Shri Thanedar said the exact same thing! We've got to get the corruption out. He is not taking any corporate money and he knows exactly how to re-build our schools, communities and State. Vote for him and you will see!